The structure and functions of the eyes are complex. Each eye constantly adjusts the amount of light it lets in, focuses on objects near and far, and produces continuous images that are instantly transmitted to the brain. Eye functions like a camera. As light passes through the lens, it is bent and transposed onto the eye's film: the retina. The film is then ‘developed' by the brain, becoming the image that we see. In order for an individual to have perfect vision, all components of the eye must function properly. Otherwise, eye diseases and refractive errors can lead to impaired vision. Long-term blurry or distorted vision can have a number of root causes. Cloudy Vision - could be a symptom of cataract, Vitamin A deficiency or eye tumors. Even stubborn (difficult to remove) eye make-up can cause cloudy vision. Prolonged itchiness and watering of the eyes is amongst the most common vision problems. These symptoms usually indicate that the patient has some type of eye allergies to pollen, pet hair, or to some other foreign substance in the environment. This is a common occurrence for people who work on a computer for prolonged periods of time. 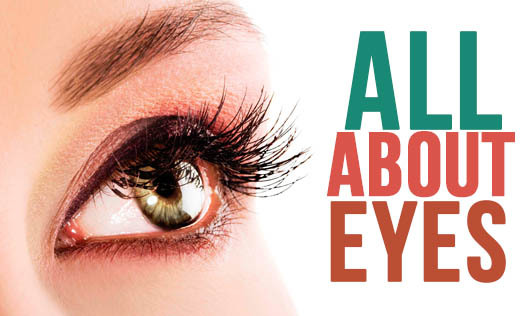 Irritation in the eye, itching, eye pain, headache, burning, and dryness in the eyes are some of the signs of CVS. Eyes can process 36,000 bits of information every hour!! !